http://www.randyrhoads.tk proudly presents the most descriptive and accurate documentation of all the known Randy footage currently out there. Not to say that there is no more, just that these listings are all that has been discovered and circulated over the last 20+ years. If you see something with Randy footage on youtube or anywhere else, check it against these extremely detailed listings and you'll know if it's new or not. This guide is the best you'll find. Hopefully one day it will be extended. Note: A few programs/interviews concerning Randy, yet not featuring any footage, have also been included for the die-hard collectors. Very big thanks to Anthony (Ironface166) for really helping fill in the missing blanks! Also, to Des for helping with the info as well and with a lot of these screen shots! Randy wearing white vest/black polka dots. Plays Sandoval PDV for first 2 songs and Slick Black Cadillac only, white Les Paul the rest. Randy wearing red vest/white polka dots. Plays Sandoval PDV for first 2 songs of set only, the rest on the white Les Paul. Randy wearing blue vest w/small white polka dots/white back-White Les Paul. There is also footage of the band backstage just prior to showtime. and cam footage mentioned previously in this list. Rudy wearing white shirt with red stripes. in San Francisco, CA on opening night of the US Diary tour. Comments from Randy afterwards while holding black Jackson. Soundless clip of Randy on drum riser playing PDV at dress rehersal. Brief clip of Sharon kissing Randy after he received “Best New Talent” award. Interview with Ozzy shows clips of Randy playing “Crazy Train” at dress rehearsal. Randy wearing open black leather vest with studs. Playing white Les Paul. Ozzy interview shows clips of Randy playing “I Don’t Know” at a sound check. Randy playing white Les Paul. (outro chorus of “Diary Of A Madman” overdubbed for footage). Clips of Randy playing “Mr. Crowley” (second solo) and Ozzy lifting him. More footage of end of “Mr. Crowley” shown during closing credits. Shows a bit longer footage of Randy playing his PDV on drum riser (from "Best New Talent" segment) and Randy taking off his PDV behind the amps. Also includes footage of Ozzy performing with Brad Gillis (the MTV concert), footage of Ozzy in summer 82 at zoo with elephant and chimp and comments from Ozzy and the designer of the Diary stage set. Footage of Randy playing white Les Paul warming up during a soundcheck. Randy wearing yellow shirt/blue jeans. Footage of Randy from “After Hours” mixed with fast-moving slide show of Randy photos. Randy’s actual PDV is used in this video. Ozzy interview-Brief mention of Randy and the accident at the end. Broadcast 3 days after the crash. Report on Randy's death. Shows 1981 promo pic of Randy and has Ozzy brief interview about the accident. 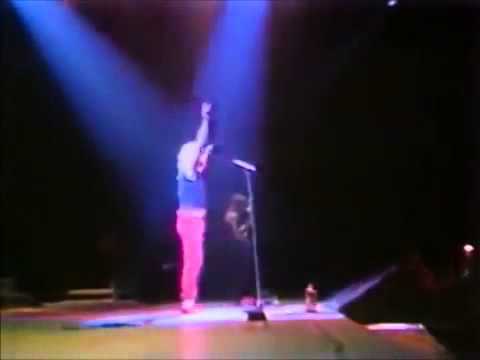 Footage and pics of Randy from the 1979 era of Quiet Riot. Late 1982-Bald Ozzy comments, and pic of Randy, plus clip from 7 EyeWitness News (LA News Clip) of Randy playing "Crazy Train". MTV's "The News That Rocked 82"
Mark Goodman briefly talks about Randy's acomplishments and death and then shows Ozzy comments about the accident. Includes photos of Randy, footage from “After Hours” and comments about Randy from Ozzy, Sharon, Lemmy (Motorhead) and Joe Elliot (Def Leppard). Also the brief video footage of Randy with Lemmy from Port Vale, UK 8-1-81. Kathy Rhoads Dargenzio, Kelly Garni, Rudy Sarzo, John Stix, Zakk Wylde and Joe Holmes. Some footage from “After Hours” is also included.